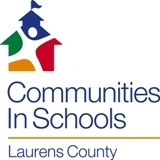 On behalf of Communities In Schools of Laurens County and the Suicide Prevention Coalition of Dublin-Laurens, we would like to thank you for allowing your students to participate on the Youth Advisory Council of the Coalition. We are already benefiting from their leadership and commitment. We are excited to announce that our Youth Advisory Council is sponsoring the “Living Loud” video competition. It is the goal of the council to get the youth in the community invested in advocating for positive decision-making and healthy relationships. This competition will allow for your students to creatively express positive support systems available to youth in challenging situations. Your student representatives on the Youth Advisory Council will be spearheading this project within your school under the guidance of your staff that serves on the Suicide Prevention Coalition of Dublin-Laurens. It is our hope that you encourage your student body to work with your Youth Advisory Council representatives on such an empowering project for our community. All area high schools are being encouraged to participate. Attached you will find the guidelines of the competition. Please feel free to contact us if more information is needed. The winning high school will be recognized at the Living Loud Youth Conferenceon April 12, 2012. In addition, the winning video will be premiered at this conference. Will your school be the one?